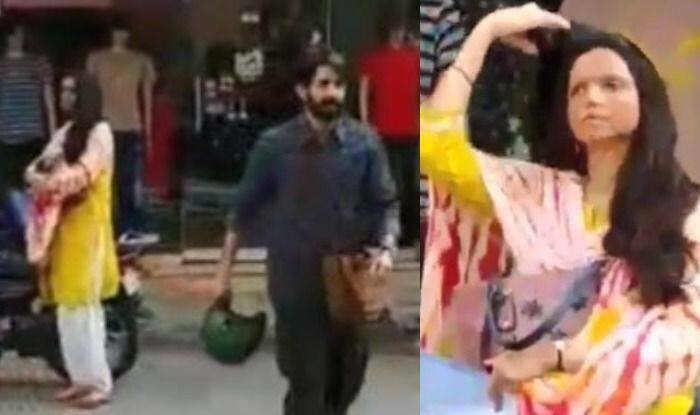 Deepika Padukone and her co-star Vikrant Massey's video from the set of their film Chhapaak gets leaked online. Deepika Padukone puts her heart and soul in whatever she does and the results are proof. She has done several challenging roles in her career till now but her role in her upcoming film, Chhapaak for which she is currently preparing, is one of her most challenging roles so far. Recently, a video of Deepika and Vikrant Massey from the sets of the film leaked online and is being circulated on social media. Deepika has been spotted quite a number of times in her character Malti’s avatar, on the sets of her film. Several fan pages of the actor shared her look which went viral in no time. Now a video of Deepika Padukone from the sets of Chhapaak is taking the internet by storm. In the video, Deepika is seen on a bike with her co-star Vikrant Massey who plays the role of Malti’s husband. Deepika Padukone waits near the bike while Vikrant Massey goes to a store nearby.